FOUNTAIN VALLEY, Calif., March 1, 2017 — Pedego® Electric Bikes is pleased to announce that it has been featured in Inc. Magazine’s March 2017 issue. The article focuses on Pedego’s successful business model of selling through independently owned Pedego-branded stores and the bikes’ special appeal to Baby Boomers. Ninety-five percent of the Pedego stores are owned and operated by Boomers who discovered the bikes as customers themselves, and they primarily sell Pedego bikes to Boomer customers. Pedego Electric Bikes is deliberately fostering the entrepreneurial spirit of Boomers looking to start a new chapter in their lives. Delighted by the rapidly rising trend of 50+ entrepreneurs, the company is predicting continued growth. Inc. Magazine’s article noted, “Pedego co-founder Don DiCostanzo predicts the company will hit $100 million in sales in five years, just as he and his business partner hit the age when most Americans retire.” Pedego is already the Number 1 electric bike brand according to Navigant Research. The article features photos of 18 Pedego store owners in their 50s, 60s and 70s, including former teachers, military personnel and government workers who sought out second careers after retiring, being displaced by corporate America or just wanting to do something different. Detailed stories and quotes from six members of this group focus on the reasons Boomers are becoming Pedego dealers. Pedego was founded in 2008 by two Boomers, Don DiCostanzo, CEO, and Terry Sherry, CFO, who loved to cycle but hated hills. 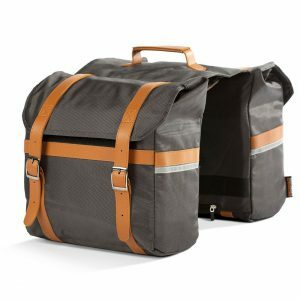 They designed the first Pedego Bike, the Comfort Cruiser, on a cocktail napkin, and it shipped in 2009. As Boomers, the co-founders, now both 60 years old, shared with Inc. readers how they developed a business model particularly supportive of Boomer entrepreneurs and Boomer customers. Pedego electric bikes boast chic styling and top-quality components. 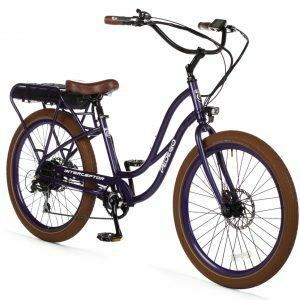 More importantly, they feature powerful rear-hub motors that help riders conquer hills and headwinds, a big plus for the Boomer population who are focused on staying fit and active. As of the article’s publication date, there are nearly 100 Pedego stores worldwide. “Nothing makes us more proud than knowing that we have a committed and enthusiastic network of dealers who share the same passion and vision for the Pedego brand,” DiCostanzo said.